Are financial institutions inherently untrustworthy or is this a simple misconception? To answer this question we first must consider how “finance” and “trust” are being defined. Without universally accepted definitions, all financial institutions are painted with one broad brushstroke and consumers among other stakeholders, are left in an ever escalating state of mistrust and confusion. And when the “news” and the latest “study” report that trust in finance is up (or down) this only fuels the fire. Trust? What are we trusting financial institutions to do, or not do? Safeguard our money, be transparent with fees, earn a good return for shareholders, protect our personal data, treat employees well, provide good customer service, or all of the aforementioned? Finance? Can global investment banks, regional banks, brokerage firms, insurance companies, financial planners, REITS, and/or a local savings and loans be lumped together when discussing trust in finance? Should they be? This is, by order of magnitude, the largest ongoing study ever conducted on trustworthiness at the individual corporate level. Our 2018 data (Russell 1000 only displayed below) concluded that the finance sector remains the lowest in trust, with an average score of 57 on a 1-100 scale. (Down from 58 in 2017). This dataset was finalized in April 2018. It is updated every April. Copyright 2019 Next Decade, Inc. But what do these numbers really mean? Our data also tells a more detailed story, and one that places us in a unique position to discuss trust AND the financial industry. Industry is NOT destiny and those more trustworthy financial institutions suffer at the hands of their less trustworthy colleagues. Take a look at this. Suddenly certain financial industry players look quite a bit better, while some look worse. Some of the major regional banks have high trust scores, while others do not. Again, industry is not destiny. Trust in financial institutions isn’t necessarily “up” or “down.” That’s simply a news headline. At its core, trust is internal. It is a function of how much leadership cares about its corporate culture, and chooses to embrace the value of trust in meeting the needs of every stakeholder group. 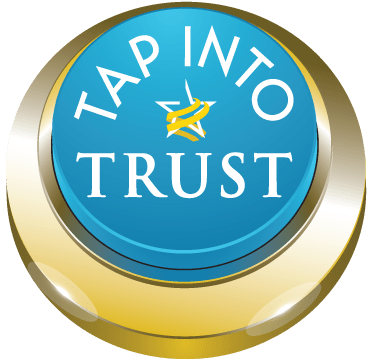 For those leaders who are interested in learning more about how to elevate trust internally, please Tap into Trust and take our sample one minute (customizable for any organization or team) quiz. For more information on Trust & Integrity in Corporate America purchase our 2018 report. To be among the first to review our research and more fully engage in elevating organizational trust, please consider membership in our vetted Trust Alliance.